So I’ve bought a few bits this week that I thought I would share with you…. 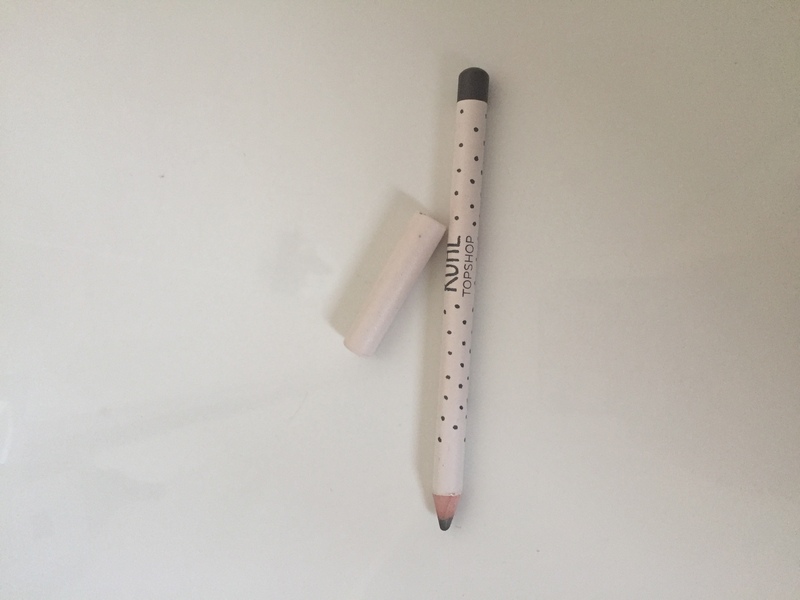 I first tried the Topshop eyeliners at Christmas after my friend bought me the black waterproof one and I absolutely loved the formulation. I tend to wear black when I’m going out and brown during the day. 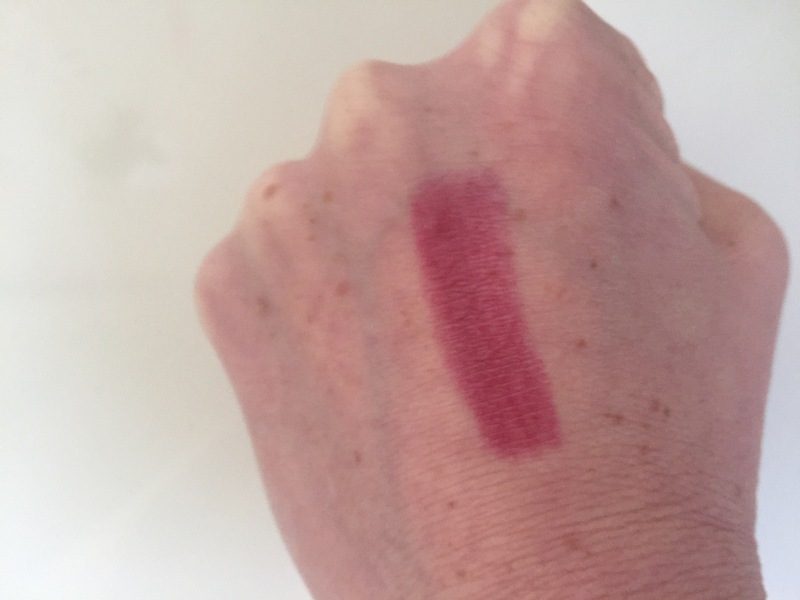 I bought the ‘sable’ shade this week for everyday wear and wasn’t disappointed. It’s the same soft intense cream formulation which applies easily to the eye area without dragging. 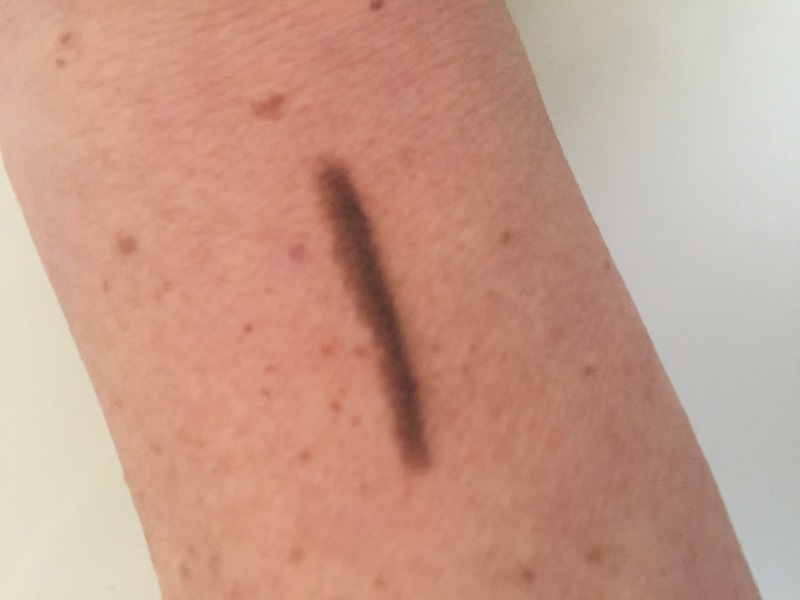 The colour is an amazing rich brown, not wishy-washy like many brown eyeliners I have tried. It lasts really well too and doesn’t transfer on to the eye area below. I can’t believe they are only £4 here…. total bargain! Still on the quest for voluminous hair…. 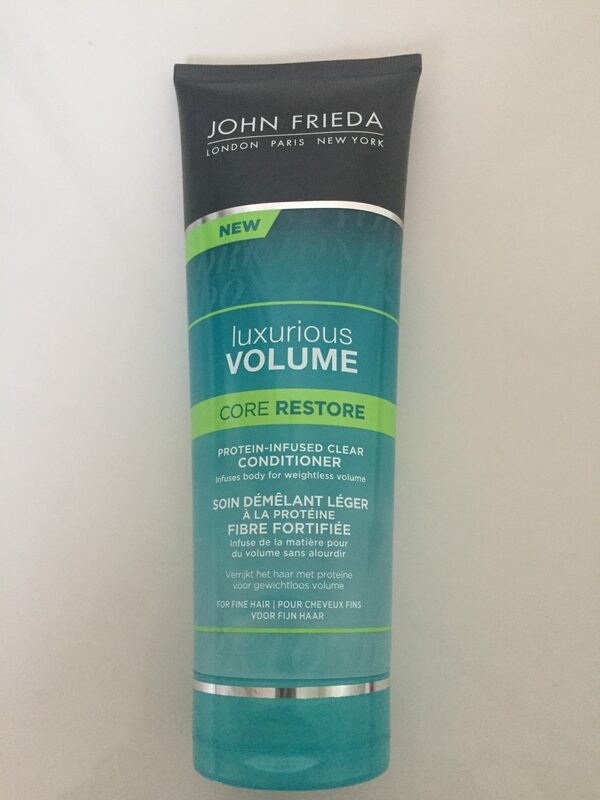 this is John Frieda’s latest offering in the Luxurious Volume range. It is a clear light protein infused conditioner which doesn’t weigh the hair down. I have tried clear gel like conditioners in the past and haven’t been that impressed but I thought I’d give this one a try as I tend to like the John Frieda products. The conditioner itself has a cream texture whilst still being a gel. It distributes evenly and made my hair feel as if I was using a normal cream conditioner. After use, when I blow dried my hair I immediately noticed the difference in thickness and texture and it dried ‘big‘. I did feel as though my hair had product in, even though it felt weightless but not in a bad way and it doesn’t ‘coat’ it like many volumising products do. My hair was more pliable and receptive to styling tools and it also held the style really well until the next day. One I will definitely be using again. Available £4.66 here on offer with a 1/3 off! 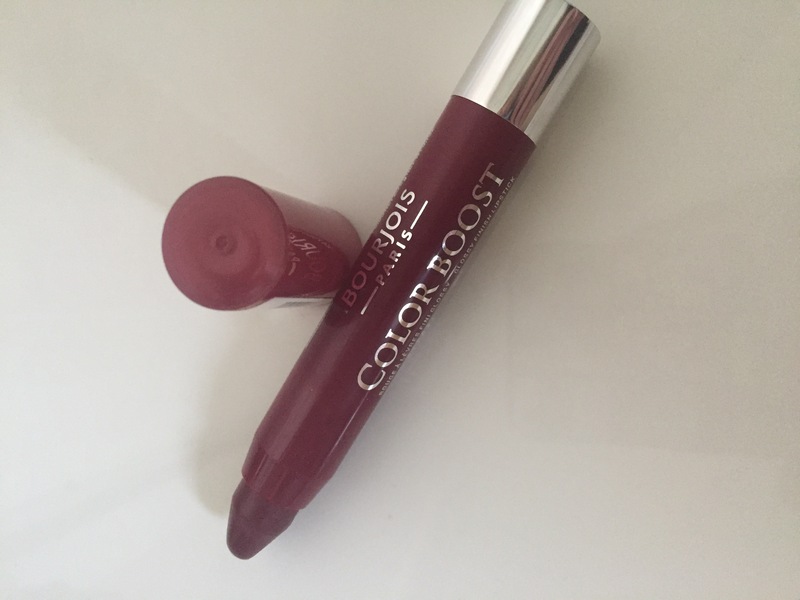 I love the Bourjois Lip Boost and have most of the shades now. Russian Plum isn’t a shade I would normally go for, I’m more of a red girl. This shade is really versatile though and looks great every day just dotted on but you can really intensify it for a vampy look perfect for a night out. Like the other Lip Boosts, they have a shiny moisturising finish and really soothe the lip area. I find them so easy to wear and love this new shade for a change. £7.99 here. I have had a really busy week this week and not had much sleep. My skin has looked really dull so I thought I would give this a try. 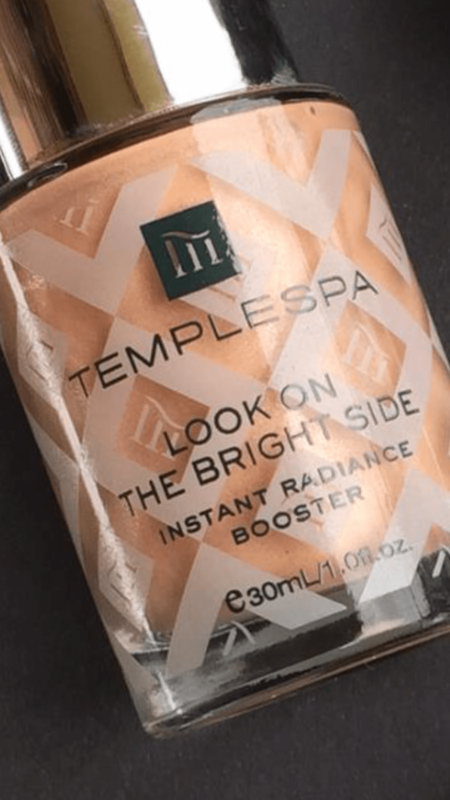 It is a gorgeous brightening primer/skin boost/highlighter. It’s a great multi purpose product. I have used as a primer under my foundation and it gave my skin a gorgeous glow whilst not being over shimmery. It is a liquid but is not greasy on application like some primers I’ve used in the past. I have also used as highlighter on my cheekbones and again it applied really well and dries instantly without leaving the skin feeling dry, tight or oily. It is more like a dry oil and soaks in to skin instantly leaving it looking revived and plumped…. I’m hooked. £30 here. Previous Article← Happy Valentines Day!